We are an experimental research group in the physics department at the University of Arkansas. We have laboratory capabilities for electronic transport measurements at temperatures down to 10 mK and visible to near infrared cryogenic optoelectronic experiments. Churchill Group, July 2018. Not pictured: Hasan Doha. Background: mural by Marina Zumi, Fayetteville, AR. Quantum devices have properties that are enabled or enhanced by quantum effects, either by material design, nanostructuring, or both. 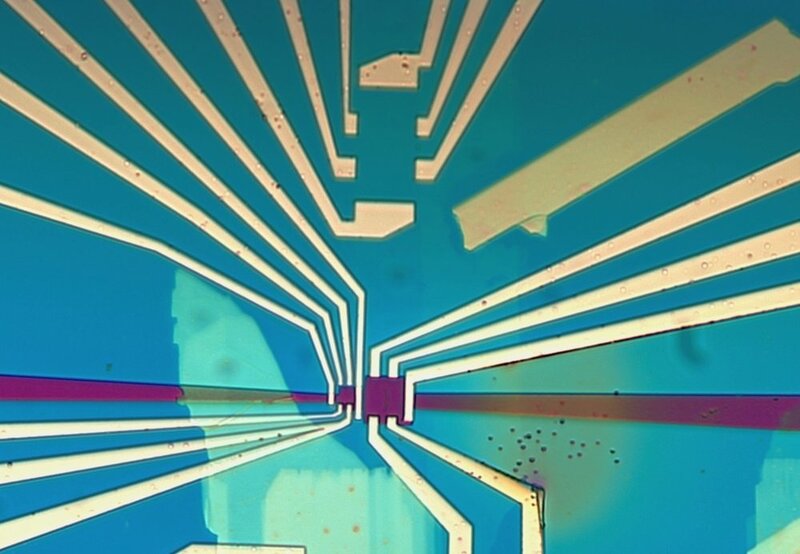 We combine physics, materials science, and electrical engineering to fabricate and measure nanoscale electronic and optoelectronic quantum devices. Congratulations to Arash and Doha for passing their candidacy exams!